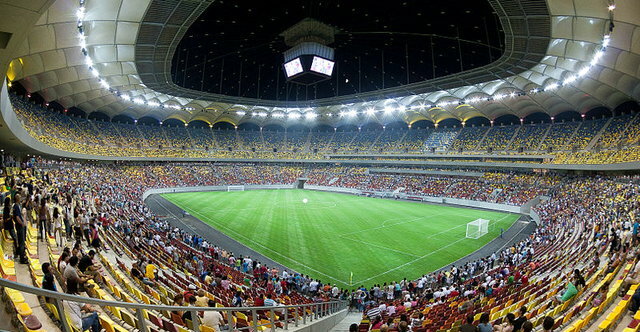 The Arena Națională, or National Arena if you’d like the translation, opened in 2011 and is the biggest stadium in Romania. 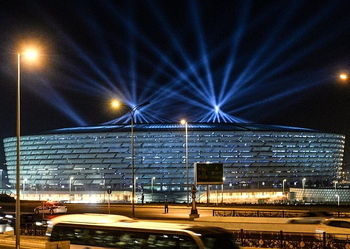 It was designed to replace the National Stadium and can be found inside the larger Lia Manoliu National Sports Complex in the city of Bucharest. As you might have guessed it is the location for all of Romania’s international matches, with Steaua București playing their games in the ground from 2015 onwards. Dinamo București also play some important games in the stadium, though they have a different home for most league games. 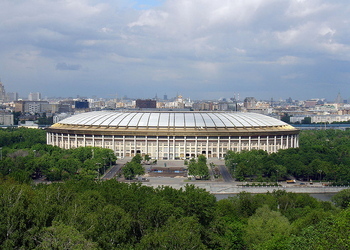 The stadium is capable of holding 55,634 people, though it rarely reaches anywhere near that figure for Steaua matches. The nature of the ground means that it can be used to host top matches not only from Romanian football but from Europe, too. 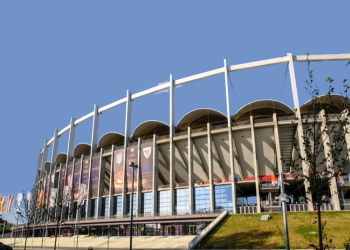 It hosts the Romanian Cup Final and Supercup Final every year and in 2012 it was the venue for the final of the UEFA Europa League. 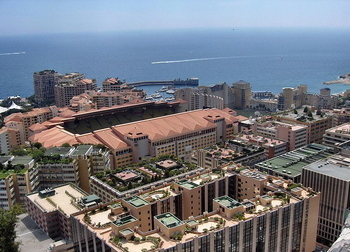 In 2020 it will be one of the venues used for the 60th anniversary of the European Championships, which will be a pan-European event. Peluza I Nord - The stadium’s North Stand is behind one of the goals and welcomes some of the more vocal football supporters into its midst. Peluza II Sud - The South Stand is directly opposite its Northern equivalent and is also prone to welcoming in vocal fans. 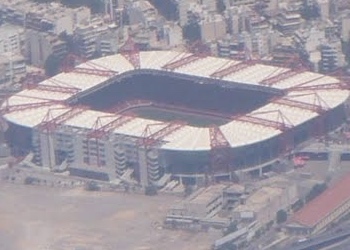 Tribuna I Vest - The West Stand is typically considered to be the arena’s main stand, housing the dressing rooms, players’ tunnel and the dugouts. It also breaks with tradition when compared to the rest of the stadium by having a much bigger VIP section in the middle tier, with the director’s box being located here. 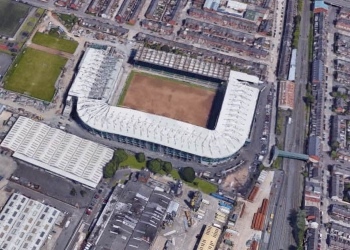 Tribuna II Est - The East Stand is similar in design to the North and South stands, having a smaller VIP area and more room for average supporters. Much like the West Stand opposite, it runs along the entire edge of the pitch. Ticket prices for national matches vary throughout the world. It depends on who it is that the national side is going up against and what tournament they’re playing in. A friendly game against a side that no one in Romania particularly minds will cost a lot less than a World Cup qualifying match versus Hungary, for example. As the prices change from game to game it’s worth checking out the Romanian FA’s website for further details. If you’d like to see the Tricolours play live then you’ll have to head to the website of the Federația Română de Fotbal and go from there. Oftentimes it is the runners of the competition themselves who dictate ticket prices, with FIFA in charge of the World Cup and UEFA bossing the European Championship, so you can head to their websites for more information too. To be honest, ticket prices for the Romanian league aren’t exactly easy to come by. The club’s website is confusing with no clear instructions and Romanian newspaper articles aren’t much clearer. What we can tell you is that in the 2013-2014 season the club’s season ticket prices ranged from 199 lei through to about 1500 lei. That’s about £40 to £300, so it’s fair to guess that match tickets will be cheaper. There is a website that you can go on, though you might struggle to understand what you’re signing up to if you don’t speak Romanian. There’s a ticket office phone number you can ring, too, but you might have the same problem there. You can also buy tickets directly from the stadium, should you be in Bucharest with time on your hands. Train - Getting the train from London to Bucharest will take you first to Paris then on to Munich. You can then get a sleeper from Munich to Budapest Keleti Station, if you don’t mind travelling overnight. Once in Bucharest the two best ways to get to the ground are either by tram or on the Metro. The closest Metro station is Piata Muncii, which is fifteen minutes away on foot. If you’d rather take the tram then any of trams 56, 46, 40, 36 and 14 serve the stadium, with Pictor Harlescu being the closest stop. Bus - Arena Nationala bus and coach station is, unsurprisingly, the closet to the ground. It’s only served by the N109, though, so bus isn’t necessarily the best option open to you. Car - You’d like to drive, hey? Good luck with that. 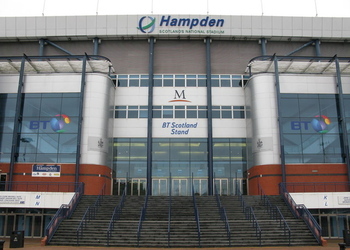 Your best bet if you want to get where you’re going quickly and easily is to use a sat-nav and put in the stadium’s address. By Air - The wonderfully named Bucharest Băneasa Aurel Vlaicu International Airport is less than ten miles from the city centre and is the biggest one that serves the city. Around fifteen miles away is Henri Coanda International Airport, which caters to both domestic and international flights. Taxi - An Uber from Budapest Central Station to the ground will take about twenty or so minutes and should cost you in the region of 20 lei. 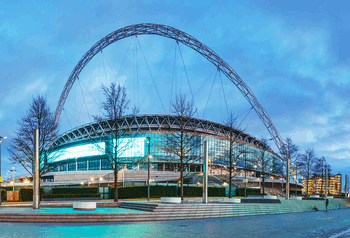 There are 2100 parking spaces at the stadium, though priority for their usage goes to VIP guests. Still, you might be able to get a spot if you’re there early enough. This boutique hotel has plenty to recommend it, including a delightful restaurant and a pleasant bar area. There’s also a conference centre, a terrace and a garden. If you’d like to keep on top of your fitness then the 24-hour fitness centre will be for you. There’s also free Wi-Fi and free parking, if you’re a driver. More details. The Hotel Christina also has free parking and free Wi-Fi, but it is a much smaller hotel than either of the other two we recommend, for those of you that like more personal service. It’s got a terrace and a business centre, as well as a restaurant and a bar. More details. Sometimes you just need a chain hotel to help you feel like you know where you are. That’s where the Radisson comes in. With just shy of 500 rooms, a casino, five restaurants, an indoor and an outdoor pool, a health club and a business centre it’s fair to suggest that this place is the bees knees. There’s also free Wi-Fi and valet parking, in case you were wondering. More details. Nothing says ‘Bucharest nightlife’ quite like an Irish bar. You can get typical Irish drinks such as Guinness and Baileys here, as well as amazing food. It’s only ‘pub grub’ but it’s tasty and hot and fresh and you shouldn’t complain. There are plenty of TVs dotted around the place for live sport, especially in the ‘party room’. No messing about here, the name says it all. This is an Irish pub that is one of the most popular places to go in the city. There’s a decent menu on offer as well as all of the standard Irish drinks. You’ll find a couple of TVs located above the bar, too, so you might be able to persuade the barman to stick that match on you’ve been wanting to watch all day. 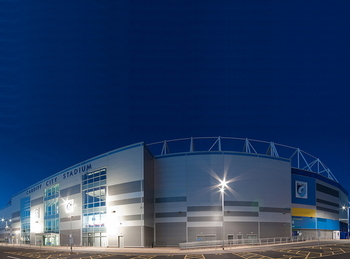 The stadium contains all of the usual facilities that you’d expect for a ground that hosts the games of both the national side and the most successful club side in the country. There are plenty of places to eat and drink before and during the match, as well as lots of comfortable seats throughout. There’s also a retractable roof, if you’re interested in that sort of thing. It isn’t all that easy to discover hospitality information for matches held at the Arena Națională. 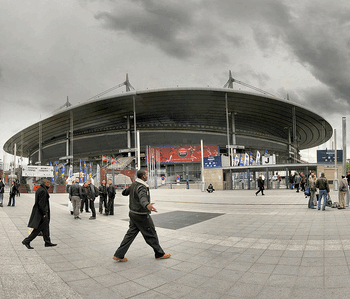 What we can say, however, is that the ground has plenty of locations for your to enjoy the match in style from. As well as the usual comfortable seat sections there are also lodges and executive boxes running around the entire ground. In short, if you want to watch the game in extreme comfort then you’ll definitely be able to. 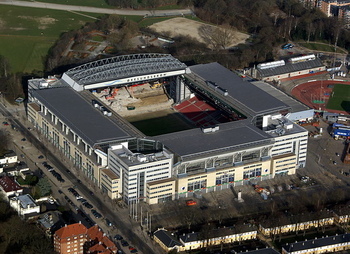 After all, there are 3,600 VIP seats inside the ground. Much like with the hospitality packages available, we can’t tell you a whole heap about private hire options. The stadium is full of amazing lounges and rooms that would definitely work for hosting a conference or meeting, though, so if it’s something you’re really desperate to do then we feel confident in saying that you’ll be able to. The stadium tour is run by Steaua, so it’s unsurprising that it is the club side’s information that dominates your visit. You’ll get to have a look at the team’s tour bus, the training pitches, the gym that the players use and the press room. You’ll also get to walk down the players’ tunnel, pretend you’re getting interviewed and have a walk across the pitch on some specially designed tiles. There’s the chance to have a sit on the bench, go into the changing rooms and have a look around the club’s museum. 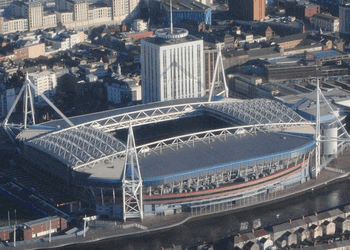 Tours run from Monday - Saturday as long as there isn’t a match on, taking place at 10am, 12pm, 2pm and 4pm. It costs 50 lei if you’re a full price paying adult, 25 lei if you’re a concession and it’s free for kids under six. 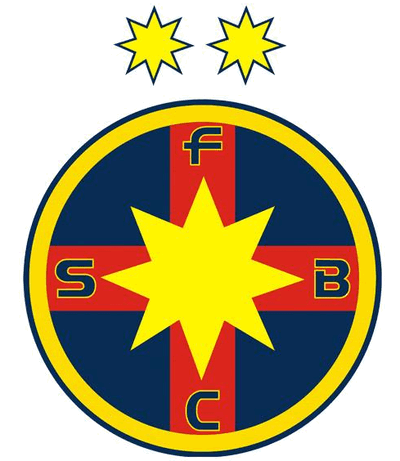 Echipa națională de fotbal a României, or the Romanian national football team to me and you, was formed in 1909 under the leadership of the newly created Romanian Football Federation. It didn’t actually play its first international match until 1922, however, when Romania took on Yugoslavia and won 2-1. 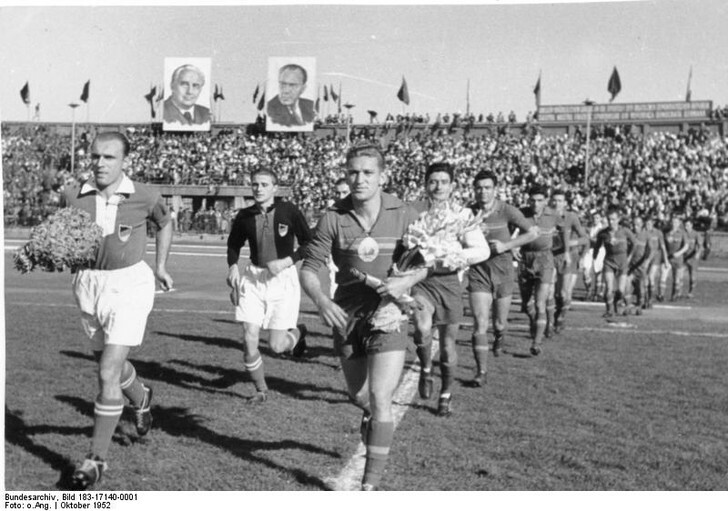 They are one of just four European teams that part in the first ever World Cup back in 1930, with the others being Yugoslavia, Belgium and France. They qualified for the other two World Cups of the 1930s too, something only achieved by them, Brazil, France and Belgium. After the 1938 tournament then Romanians weren’t seen in the World Cup again until 1970 when they qualified for the tournament in Mexico. The country’s best performance in the World Cup came 24 years later when they reached the quarter-finals of the tournament when it was held in the United States. Their most successful tilt at the European Championships came in 2000 when the tournament was co-hosted by Belgium and the Netherlands and they once again made it to the quarter-finals. Interestingly, their best performance in the Summer Olympics also saw them reach the quarter-final stage back in 1964. Steaua Bucharest are one of several teams located in the country’s largest city. It just so happens that they’re also the most successful, having spent their entire existence in the Romanian Liga I. Over the years they have picked up 26 top-flight titles, 22 Romanian Cups, 6 Romanian SuperCups and 2 League Cups. They have won both the European Cup and the European Super Cup, narrowly missing out on a second European Cup when they lost 4-0 to AC Milan in the final. The club was formed in 1947 by officers of the Romanian Royal House and its original name was Asociația Sportivă a Armatei București, or Army Sports Association. Indeed, even to this day it is known as the Romanian Army Sports Club, despite separating the football side of things back in 1998. Perhaps unsurprisingly given the side’s success, Steaua is the best supported club in the country. More than 40% of all Romanians are believed to support The Army Men. 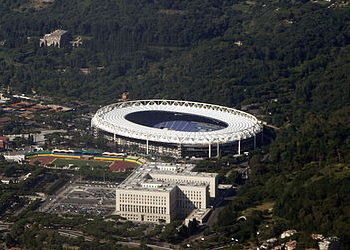 The biggest stadium in Romania officially opened its doors for the first time on the sixth of September 2011 when France turned up for a European Championship qualifying game. It ended 0-0 and was attended by just shy of 50,000 people. The ground was actually supposed to open on the 11th of August that year with a friendly game against Argentina, but the Argentines cancelled the game at the end of July after sacking their manager. 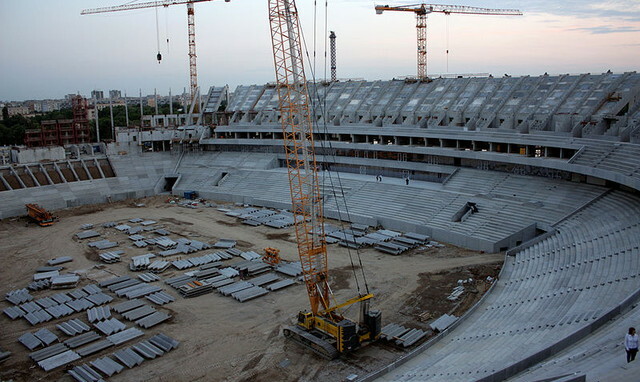 The construction of the stadium was hampered by numerous delays, with the mayor of Bucharest stating in 2009 that the building works were twenty weeks behind schedule. 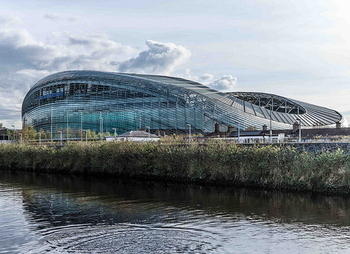 Later that year constructions was delayed further when a decision was taken to add a roof to the stadium at a cost of €20 million. 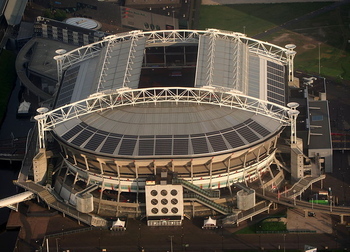 The retractable roof can be open or closed within about fifteen minutes; something that would have been at the end of 2009 when building work was hampered by poor weather conditions. 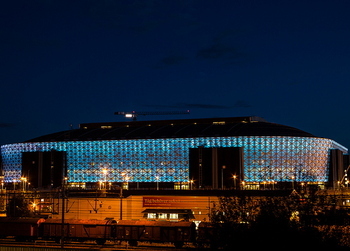 The stadium was considered to be state-of-the-art when it opened in 2012, so there are unlikely to be too many developments until we get closer to the 2020 European Championships. If anything changes on that front then we’ll let you know.